Ever fancied the Kind of Payne and a couple of trolls exploding into your games room? 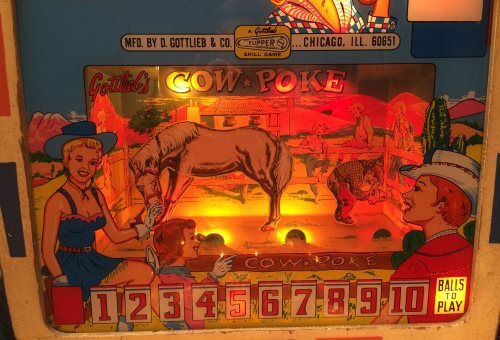 Well now you can – thanks to those magicians at Pinball Dreams in Germany. They’ve been busy making fully licensed 3D Medieval Madness translites, and this morning the FedEx man delivered one to Pavlov Towers. Oh it’s good. It’s very very good. Very very good indeed. And when installed and backlit it’s even better. A quick recap of the technology involved. Making the 3D translite involves scanning an original 2D translite, cleaning up the graphics and matching the colours to the original as closely as possible. Then the image is separated into 13 layers. 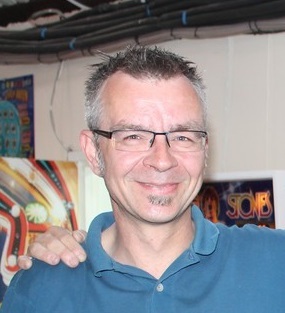 The process to this point takes about 100 hours of work, according to Henrik Maurer, Pinball Dreams’ boss. Then the artwork is rebuilt in true 3D and printed, and finally a lenticular foil is overlayed to create the 3D effect without the need for special 3D glasses. Lenticular images tend to have a slightly blurred look to then, but the 3D Medieval Madness translite doesn’t suffer that to any noticeable degree. If you look hard the image is slightly grainy, and if viewed from an angle well off centre on then you do get a blurring effect, but under normal circumstances the image is clear, but soft focussed rather than super sharp. What’s dead classy about the Medieval Madness translite is that the 3D effect hasn’t been overdone. The King and trolls are definitely in the foreground, and the castle is in the background. Elements like the pike and the arrows by the trolls’ feet appear even closer, but Pinball Dreams has avoided the temptation of making the 3D effect too “in your face.” It’s clearly 3D, but subtly done rather than overdone. What about the floating castle anomaly near the top left of the translite, beneath the dragon below the Williams logo? Yup, it’s still there, and once you notice it it does seem a little strange. But the truth is that it’s no big deal. It doesn’t detract from the translite, and if anything it actually adds to the charm. In fact in twenty years people will probably be mentioning it as a piece of pinball trivia. Now the most important point to mention here is that 2D photographs can’t do this 3D translite justice. In the flesh it’s much more impressive than what you can see here. You’re going to have to trust us on this or see one for yourself. 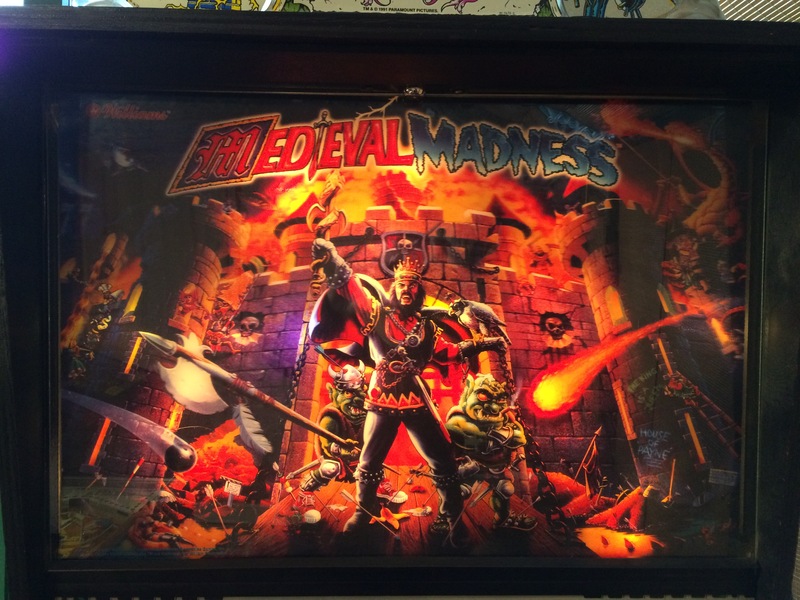 Pavlov Pinball’s verdict: If you have a Medieval Madness (or MMr) and don’t have the cash then beg, borrow or steal it, then go and buy one of these immediately.